Amraito.Com Science Tecnology What's New in the new version of iOS!! What's New in the new version of iOS!! 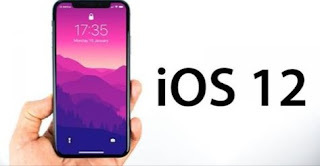 IOS 12 iOS 12 is the latest operating system of iOS 12, Apple's latest operating system iPhone, iPad, etc., which is open to users. The full version can be open for all in September. Discussions have started with what's going on in the latest version. Since the test version has already been used by many users, busy users, developer and developers are concerned about its various issues.However, like the others, the new version has added several features to Apple. 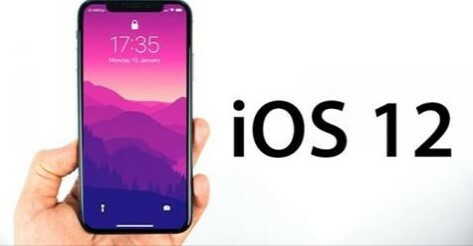 Voice recognition: Voice recognition is the first time the iOS 12 is connected. Now the angiogis that are connected to the voices! As a result, iOS users will be able to use their own voices in different animojs. Mimosa: Adding anemiomy as well as new versions of the memoji. Mimosa is a great way to make yourself look like a picture of the device's front camera. FACEBOOK FOR COMMUNITY FACEBOOK: In previous versions, using only FACTIMM, video calls were made with only one person, but with the help of video call facility with 32 people at one time. Not just video calls, as well as participants can chat with i-messages at the same time. SERI NOTIFICATION: Like Siri, Siri has been upgraded so that Siriin can work as a partner for all day. Syrii will also give information about the daily activities as well as the next day's work. ScreenTime: This is an exception feature that has been added to iOS 12. This version contains the screentime features that allow users to determine how long an app will be used. Not only this, the user will also be given notification at the end of the specified time. How many times the app is being used to get reports! Do Not Disturb: This feature has been improved in the new version. As a result when Do Not Disturb is active, the mobile screen will not be seen. As long as this facility is active, it is possible to keep away from everything. Augmented Reality: This version has a new version of Apple's Augmented Reality (AR) software. The ARKET 2.0 version has added features that can be used by virtual reality to do other things, including online shopping. Improved CPU: CPUs added in iOS 12 will give users twice as much speed as before.